Who wins The Bachelor 2016? The Bachelor spoilers for Season 20 have been revealed and we can rest assured knowing who the winner is, unless Reality Steve messed up again. We know that Ben Higgins didn’t choose Olivia Caridi, but did choose Lauren Bushnell to receive his Final Rose. 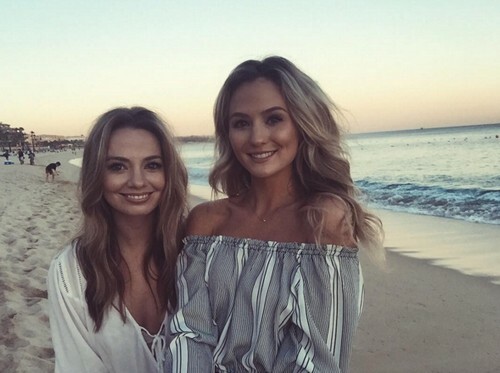 We have seen the pictures of The Bachelor winner Lauren Bushnell on her Instagram, out in Mexico vacationing with her family…. and possibly even Ben Higgins as well. But one thing you will notice in the pictures on her pages, is that she is not wearing an engagement ring. Sure, Lauren could be keeping it locked away to try and keep the engagement a secret like she’s supposed to. Or is there a chance that Ben Higgins didn’t propose and there was no ring? Is there any way that Ben Higgins would opt not to commit with a ring and a real engagement? That would be very hard to imagine, but let’s just hope that Neil Lane made his usual trip to the tropical location to help Ben pick out the ring for Lauren Bushnell and that we will in fact be seeing that beautiful bling in all it’s glory on the After The Bachelor Final Rose episode. Don’t forget that Ben Higgins’ ex girlfriend, Shaelin Adams blabbed away that she would be shocked if actually ended up engaged because of his past trust issues. Ben doesn’t come across as the insecure guy with the issues she’s tried to label him with. He seems very into his ladies and very confident in each of his encounters. Jealous much, Shaelin Adams? If you had to pick right now who would be on the next season of The Bachelorette, your choices being JoJo Fletcher or Caila Quinn, who would you pick? That being said, if it could be any of the girls on the entire season, who would you choose? Please don’t any of you pick Olivia Caridi. If we have to hear about her cankle issues for an entire season, we may just have to turn off the TV altogether! Share your thoughts about The Bachelor 2016 so far this season in the comments below! Keep checking back here at CDL for all of your up to date The Bachelor 2016 news and of course plenty of spoilers!